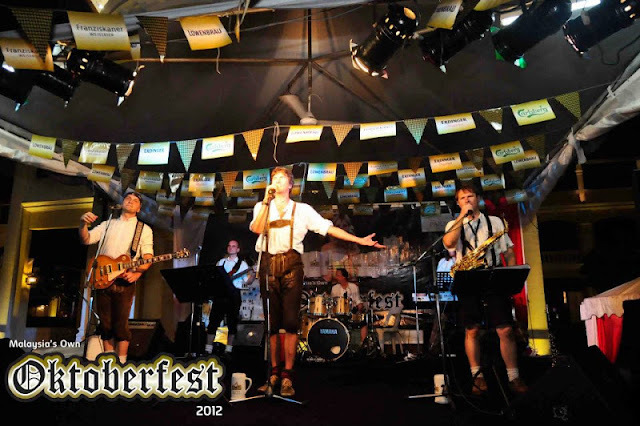 Malaysia's Own Oktoberfest 2012 @ One Utama. 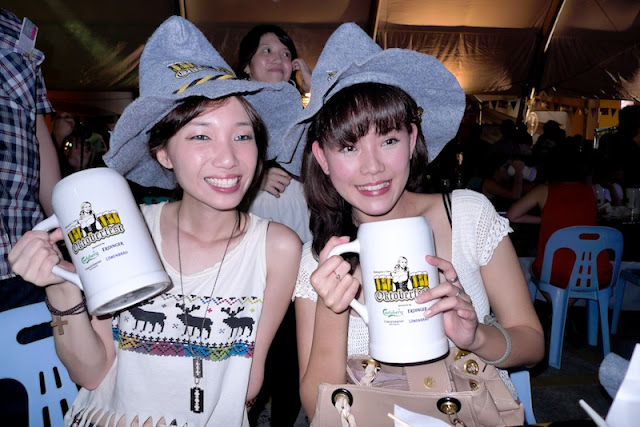 Was invited by MHB to attend Malaysia's Own Oktoberfest 2012 event last last Saturday. 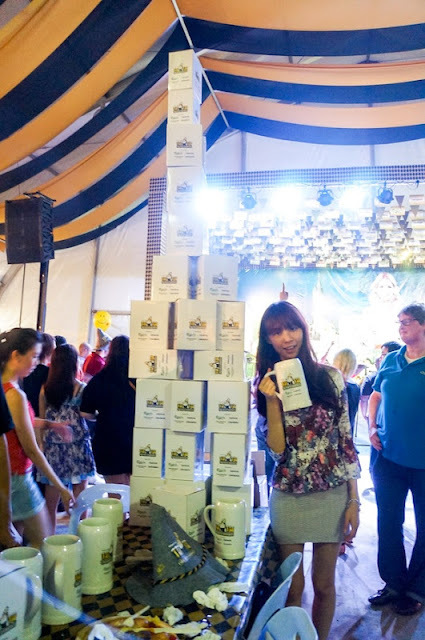 It's an annually drinking festival originated from Germany, presented by Carlsberg Malaysia to enable consumers to experience first-hand the authentic German beer drinking festival locally. 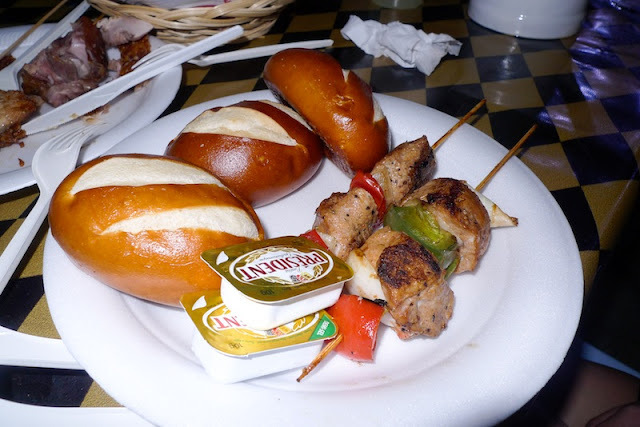 Once arrived, Tim gave us this food vouchers to grab some German food! More calories! 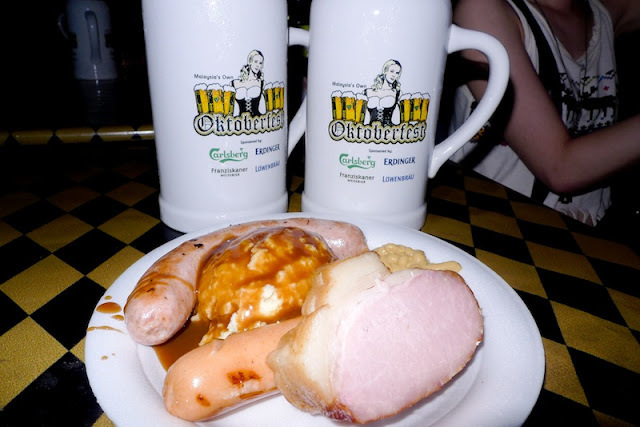 German sausages, mashed potatoes and Schweinshaxe (pork knuckles). 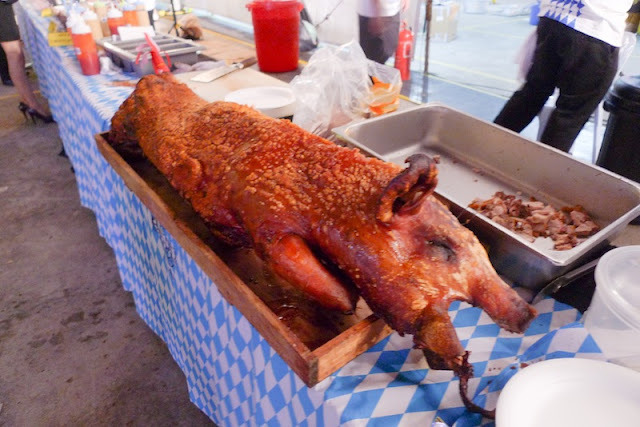 Povy, the sickcat said she would only had this, but in fact she was never stop having my roast pig or pork knuckles as those are her favourite. lol. 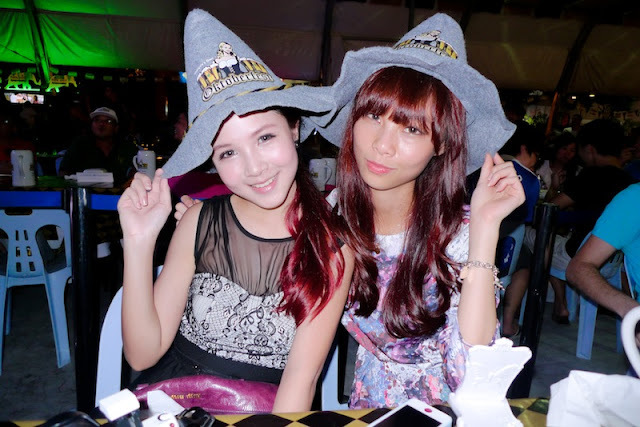 Us playing with the Malaysia's Own Oktoberfest 2012 hat. Group pic with MHB's members and Andy Kho. Some highlight games during the event. The hammer to test your strength. Zig-zag run with the steins. 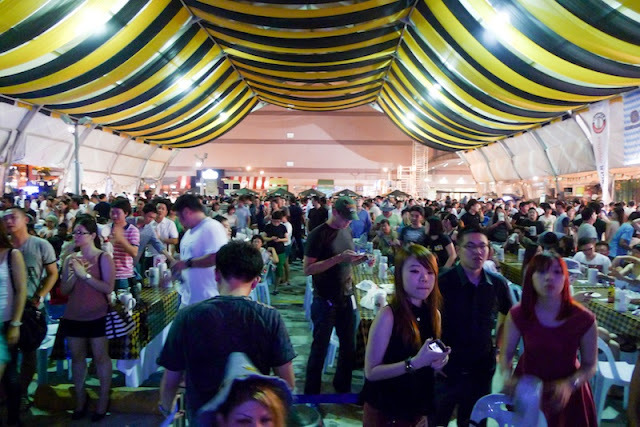 Crowded with so many people, or i should say drinkers that night! 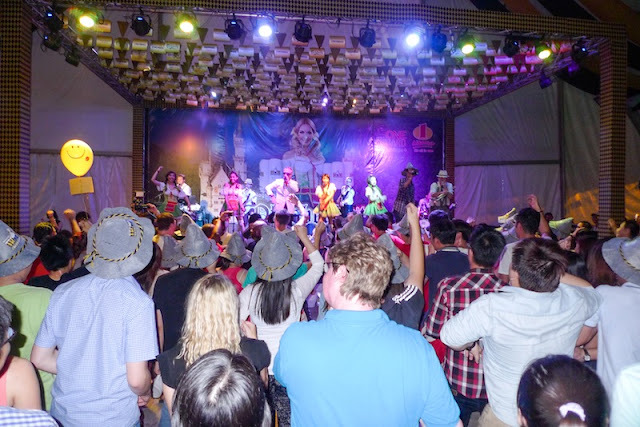 Malaysia's Own Oktoberfest also extended its celebration for the first time to East Malaysia, Kota Kinabalu. They were doing the traditional chicken dance, lol. 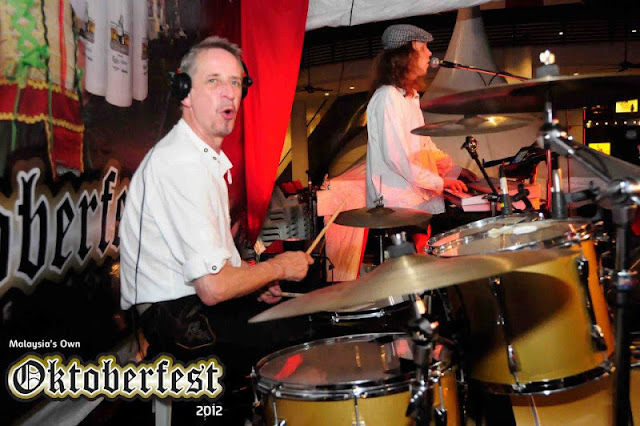 Also happening at Gurney Paragon Mall, Penang with authentic Umpapa band all the way from Germany. I Beam @ JB, Carlsberg ambassadors decked in dirndls (traditional German dress). 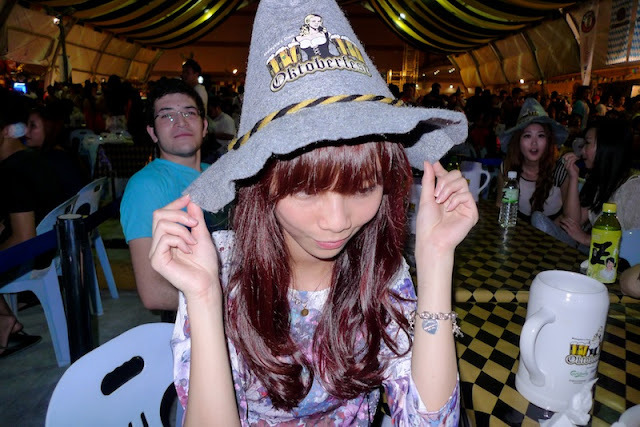 Back to the one happening at One Utama, more picha of me selca-ing with the props. 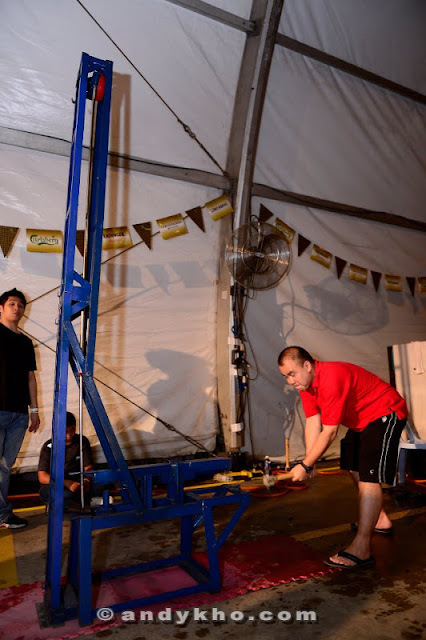 You will know why i use the term "props". 1. 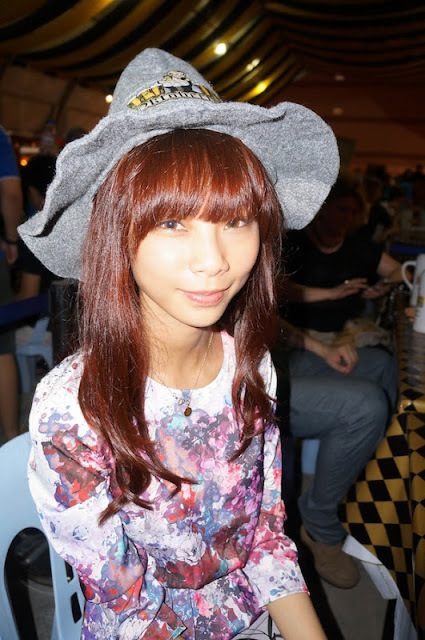 Hat, definitely a prop. 2. 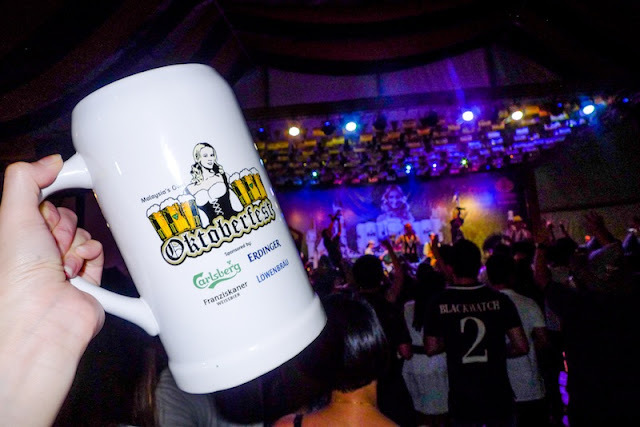 Oktoberfest 2012 mug filled with Carlsberg, but I wasn't drinking that night because i've this alcohol allergy since dunno when! > , <''' And i'm only allergic to beer and liquor. 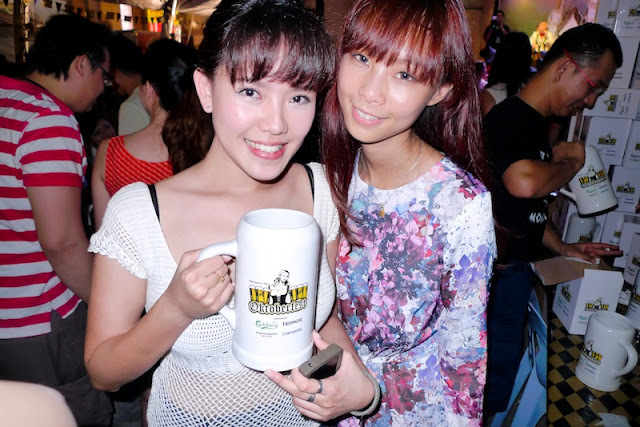 For more pictures, check out Malaysia's Own Oktoberfest Fb page. Did i express myself how happy i am to meet so many readers during Churpout2012?